This has been worn several times, has a used feel, but is in good condtion. 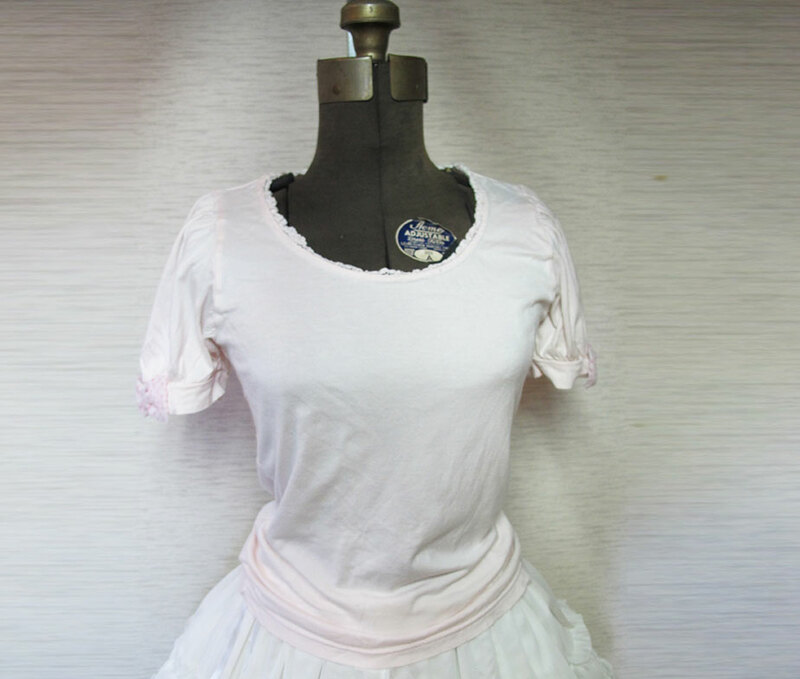 Simple design, but the little pink bows on the sleeves are so cute and I often wore it under otome style dresses. Great for day to day/casual wear as well. This has been worn about three times, and as it is a caplet, always over other items. It is in pretty good condition, and has one small darkish spot that is really hard to see and photograph, but I attempted to (please see the detail photos). 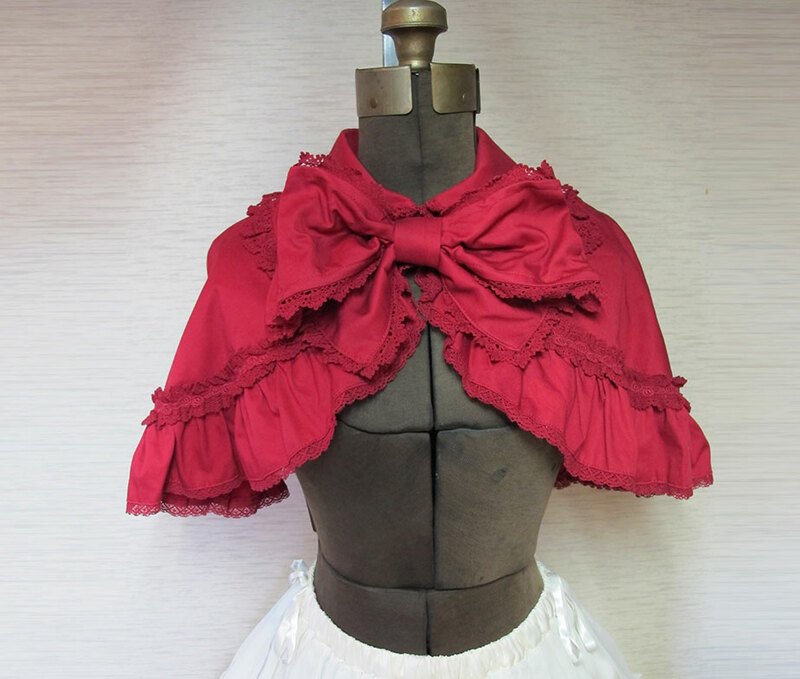 The big red ribbon is removable and is wired so you can shape the bow how you would like and it will hold its shape. 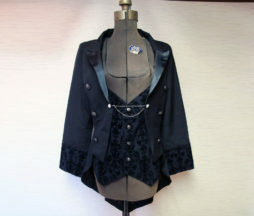 This has been worn several times, has a used feel, but is in good condtion. 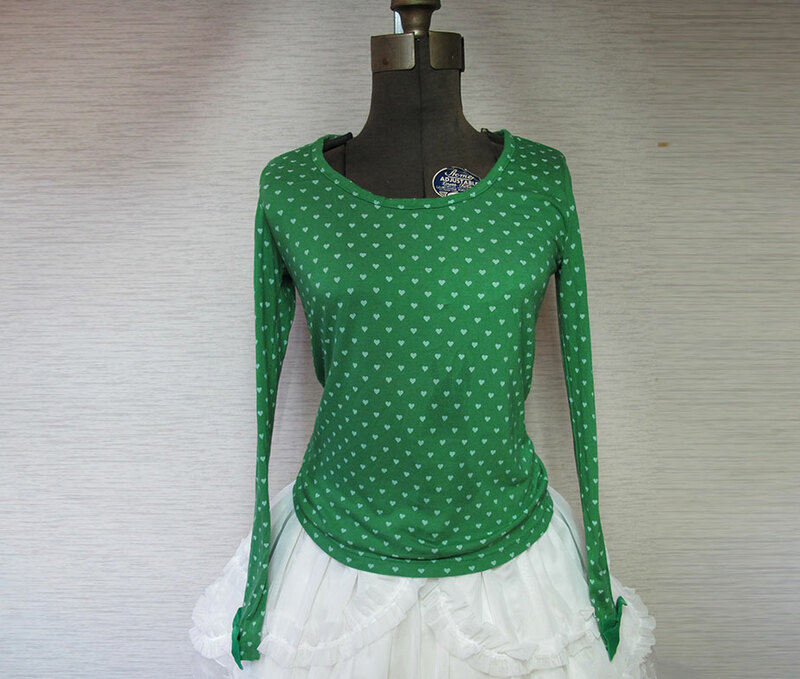 Long sleeves with cute little ribbons on the cuff. All over heart patten. Looks great on its own or under a jumperskirt! This has been worn several times, has a used feel, but is in good condtion. Nice round necklace with great fabric detail. 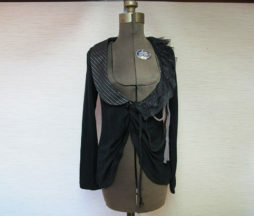 This item has been worn about two times and is in great condition. 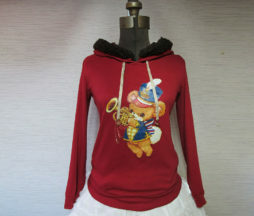 This is a super cute pullover cutsew with a print of Angelic Pretty’s Hanikami (Shyness) Bear on the front. There are so many cute details- the fuzzy bear ears, the AP star charms, the braided cord on the sleeves, and the the contrasting fabric inside the hood. The fuzzy trim around the hood is also removable. 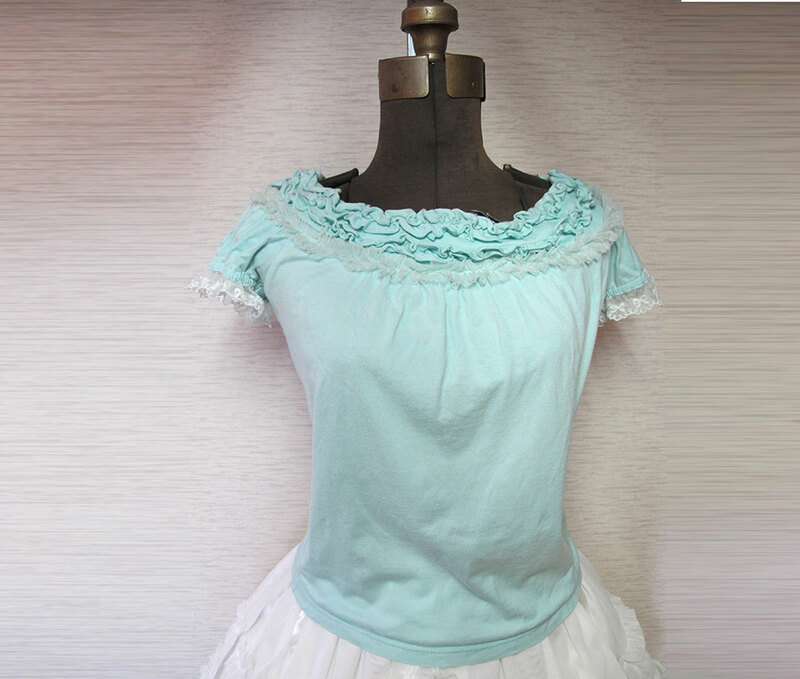 This was purchased second hand and has small spot on the white ruffled part of the skirt. 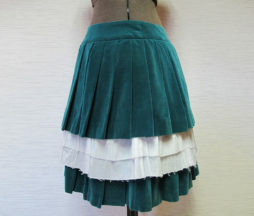 Otherwise the skirt is in good condition. 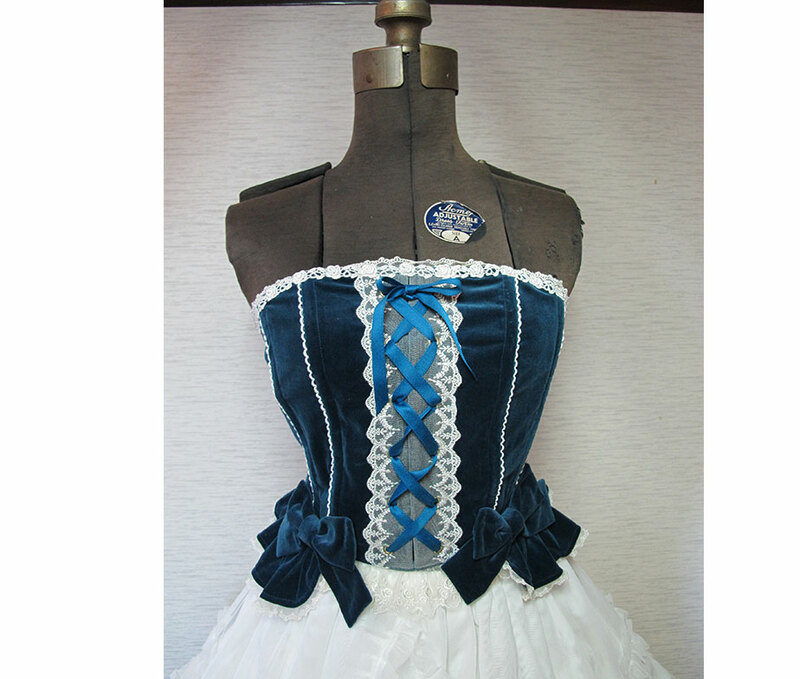 Please note the frayed edges on the ruffles are part of the design and not a defect. Nice, quality velet fabric in a lovely green color! This is brand new and unworn. Please note this jacket is the men’s size, however lots of ladies find the men’s cuts to be more comfortable with the extra shoulder room, so I have listed in both the men’s and women’s sections. 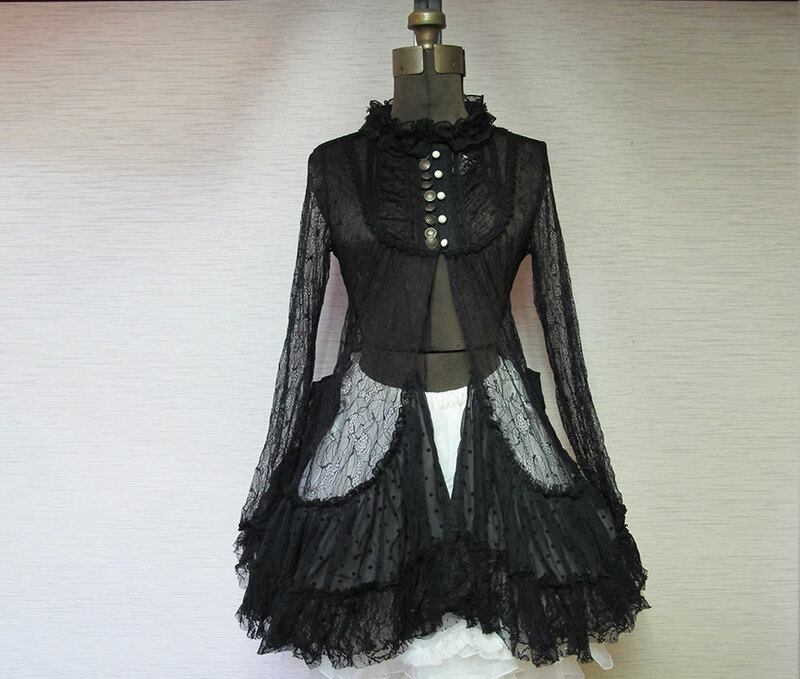 Great features with the flocked fabric, silver buttons and chains, and the nice tails in the back. Originally 31104 yen. This is brand new and unworn. 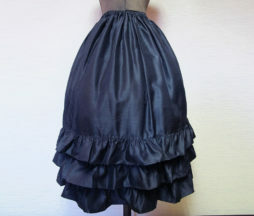 Can be worn under other skirts for added volume and for extra ruffles at your hem, but is also totall wearable on its own. Nice long length give it an aristocratic feel! These are brand new and unused. 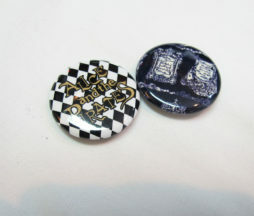 Pin to your outfit, bag, anywhere you like!